Summer time means barbecuing time but there's some days I don't want to be standing outside in 100 degree weather while cooking on the grill. Thanks to Austin, Texas-based Stubb's, they've introduced new barbecue dinners to their already delicious bbq line-up! Stubb's BBQ has an entire line of authentic sauces, marinades & rubs, including flavors like Sweet Heat, Smokey Mesquite, light & tangy chicken marinades & more! All of Stubb's products are certified gluten-free & contain no high fructose corn syrup, they only use pure cane sugar & molasses for sweetness. 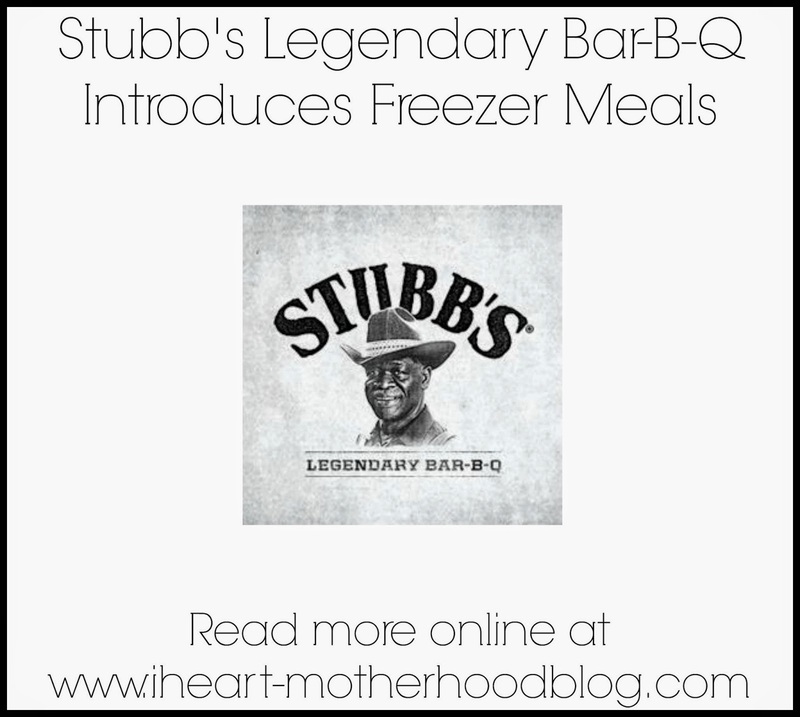 We were introduced to Stubb's BBQ sauces & marinades a while back & it was love at first bite, they have become a must have at our family barbecue's & I couldn't wait for my family to try out Stubb's newest heat-and-eat smokehouse meats & sides! I was sent coupons to purchase Stubb's products at my local Wal-Mart, you can find the new meats & sides in the freezer section while the sauce is on the condiment's isle! I chose the Spicy Smoked Sausage, Chopped Beef & Original BBQ Sauce! While my local Wal-Mart didn't have all of the smokehouse sides & meats currently stocked, I hope to return in the next week or two & pick up more varieties for my family to try out! The fully cooked meats & sides offer authentic taste & convenience, they are great for a delicious, easy dinner night idea! Simply heat in the microwave & serve, they are a perfect pair for Stubb's BBQ sauce, you can even enjoy the Chopped Beef & Pulled Pork on a bun! I love the heat with each bite of the Spicy Smoked Sausage, I couldn't get enough of Stubb's new heat-and-eat line! The Original BBQ Sauce hit the spot as always, it's full of flavor & I love that it's all natural! Have you tried Stubb's products before? Which ones are your favorite? Be sure to visit your local Wal-Mart to pick up your favorite Stubb's products! Feel free to stay connected with Stubb's BBQ on Facebook & Twitter! These sound really yummy and the fact that they don't have HFC is awesome! Thanks for sharing! Hey from TX Women Bloggers! I love love love STubbs! We always have the bbq sauce here at home. Yum! We love 'Fat Freddy' Stubbs BBQ! It is always in our fridge and ho awesome that they have freezer meals! I have not, but now they're on my list! No, I haven't but now they're on my list to try! Ooh what a cool product! I love BBQ so this looks like something I need to try. I have used their sauce and it is delicious, but now I will have to look for these freezer meals for sure! Thanks for sharing and I will be trying it too! We love Stubb's BBQ sauce, I bet those meals are great too! Thanks for sharing!